Maine Public Radio reported Feb. 1 that the New England Fisheries Management Council has recommended a 15 percent cut in the quota for cod. The report said that would mean a reduction of between 6,700 and 7,500 metric tons of cod that can be harvested annually. The decision to recommend the cuts to the National Marine Fisheries Service was made at a council meeting at the Sheraton Harborside in Portsmouth, N.H., after preliminary results from the latest Gulf of Maine cod stock assessment indicated the stock is overfished and overfishing is occurring. The vessels most likely affected will be smaller ones that fish nearshore in the Western Gulf of Maine, the NMFS said in January. Given the preliminary results and the implications for groundfish fishermen and communities across the region, the NMFS convened a working group consisting of New England Fisheries Management Council members and National Oceanic and Atmospheric Administration staff “to explore potential management options for reducing disruption to the fishery while responding to the new assessment,” according to the NMFS release. The federal government, and the fishing industry — the commercial and recreational sides alike, with deep dependence on inshore or Gulf of Maine cod — have entered uncharted waters found by NOAA to hold far fewer cod than anyone could have guessed just months ago. Now, what to do about the cod crisis sits at the top of the agenda of the New England Regional Fishery Management Council this Wednesday afternoon in the middle of its three-day February meeting in Portsmouth, N.H. Signaling the depth of the dilemma and joining the deliberations will be Sam D. Rauch III, the nation's acting assistant administrator for fisheries, "along with many of my key staff," Rauch announced at the end of a lengthy letter sent late last week to the council. It was dated Thursday, the day after the dire results of a 2011 stock assessment was vetted by the council's independent Science and Statistical Committee meeting in Providence, R.I. Saving Seafood recently reported on several questions concerning the 2011 Gulf of Maine cod assessment, and the actions taken by the Scientific and Statistical Committee (SSC) of the New England Fisheries Management Council (NEFMC) to respond to questions about the assessment. Saving Seafood and several other media outlets described the SSC actions as "extraordinary". To clarify, the SSC’s actions reflected the Council’s instructions to the SSC. The Council’s approach to responding to the new stock information deviated from the normal management process, and produced a unique result that many observers have described as “extraordinary”. 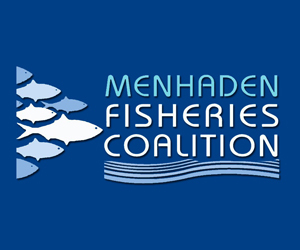 Under normal management procedures established by the Magnuson-Stevens Act, the Council’s SSC is required to provide “ongoing scientific advice for fishery management decisions, including recommendations for acceptable biological catch (ABC).” The Council then must set catch limits based on this advice, with the levels “not exceed[ing] the fishing level recommendations of its scientific and statistical committee.” The recommendations made by the SSC are usually based on the results of the stock assessment and the goals of the fishery management plan it is operating under. For the 2011 assessment, the Council did not request the SSC suggest ABC limits or that it either accept or reject the assessment. Rather, the Council, in their Terms of Reference memo to the SSC, decided, “to deviate from its normal process” in setting catch limits. This will be done at a later date and once further work by the SSC has been completed. Instead of proposing limits for the Council to act on, the SSC was asked to examine the results of the stock assessment, specifically to “identify information that may influence the interpretation of the assessment results.” The Council specifically lists nine areas of scientific concern with the survey, many of them brought up by outside experts and previously highlighted in Saving Seafood reports. Key figures in fisheries management, have publicly recognized the unique problems posed by the 2011 assessment and the potential need for unusual management decisions. Rip Cunningham, chairman of the NEFMC, told the New Bedford Standard-Times “unusual circumstances require an unusual response.” Similarly, Eric Schwaab, the former head of NOAA Fisheries (the National Marine Fisheries service), told the Associated Press that the impact of the assessment would be so severe that “extraordinary options ought to be on the table.” The recent actions taken by the NEFMC and the SSC reflect areas of uncertainty associated with the assessment, and the potentially dire consequences of any management action based on it. 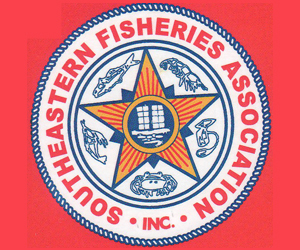 The public is invited to attend the New England Fishery Management Council's January 31 – February 2, 2012 meeting to be held at the Sheraton Harborside Hotel, 250 Market Street, Portsmouth, NH 03801; telephone 603.433.5649. For online access to the meeting, please register by clicking the link below. 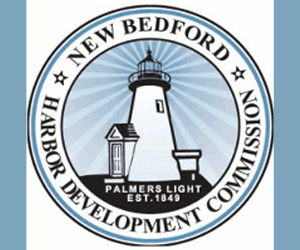 For information about meeting materials and a detailed agenda, consult the Council’s website www.nefmc.org . Also be aware that if you use the phone-in option, your regular phone charges will apply. If you have any questions, feel free to call the Council office at (978-465-0492, ext.100). The meeting will begin at 9 a.m. on Wednesday, January 25, 2012, recess at 5:30 p.m. or when business is complete; and reconvene at 9 a.m. on Thursday, January 26, 2012, and adjourn by 5:30 p.m. or when business is complete. 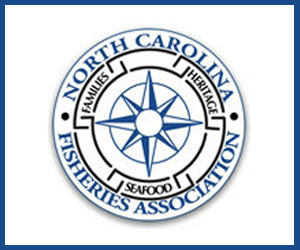 NMFS will host a meeting of the Council Coordination Committee (CCC), consisting of the Regional Fishery Management Council chairs, vice chairs, and executive directors in January 2012. The intent of this meeting is to discuss issues of relevance to the Councils, including FY 2012 budget allocations and budget planning for FY2013 and beyond, Marine Recreational Information Program Update, Report on the Allocation of Fishery Resources, Habitat Blueprint, Managing Our Nations III Conference, and other topics related to implementation of the Magnuson-Stevens Fishery Conservation and Management Act (Magnuson-Stevens Act). With socio-economic studies suggesting that control of New England's fishery is becoming concentrated in fewer and fewer hands, the federal government has announced plans to look into and perhaps set limits on groundfish quota accumulations that would protect the fleet's diversity among large and smaller-scale businesses. The New England Fishery Management Council, the regional policy-making arm of NOAA's National Marine Fisheries Service, announced a series of 10 "scoping" hearings to be held across the region in January as the first step of the plan. The Gloucester hearing is scheduled for Jan. 30, at the state Division of Marine Fisheries' Annisquam River Station, from 6 to 8 p.m. The hearings are being designed "to gather information and ask for suggestions about the range of issues that should be addressed," possibly through modifications to Amendment 16. 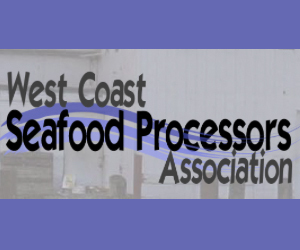 That's the regulatory framework for the National Oceanic and Atmospheric Administration's catch share program, which has brought a radical reorganization of the groundfishery since it was put in place in May 2010. Any initiative to cap the amount of quota a business or cooperative can control is highly controversial; many fishermen and government officials argue that the market should be allowed to work its wisdom in reshaping the groundfishing industry, now that it has become subject to market forces. Read the complete story from The Gloucester Times. The Mid-Atlantic Fishery Management Council met jointly with the Atlantic States Marine Fisheries Commission’s Summer Flounder, Scup, and Black Sea Bass Board last week in Williamsburg, VA to set catch and harvest limits for summer flounder and scup. Although the Council had set limits for the 2012 fishing year in August, the Council received updated stock assessments in October that indicated the previous recommendations for summer flounder and scup were too high. They also recommended recreational management measures for summer flounder, scup, and black sea bass for 2012. The Council and Board adopted a recreational harvest limit of 8.76 million pounds for the summer flounder fishery and conservation equivalency. Conservation equivalency would allow individual states to develop recreational measures to achieve a state-specific harvest limit. Although the proposed 2012 harvest limit represents a 26% decrease from the 2011 limit, landing estimates indicate that the recreational fishery only landed 5.61­­ million pounds in 2011. As a result, some states may liberalize regulations in 2012. During the meeting, the Council received notice that the summer flounder stock was rebuilt in 2010 (Letter from NMFS). "An important milestone for the Council and our management partners has been reached" stated Rick Robins, Council Chairman. "The sacrifices of the Mid-Atlantic's coastal fishing communities, together with our commitment to rebuild this stock, will allow for a highly productive summer flounder fishery into the future." The Council and Board also recommended a recreational harvest limit of 8.31 million pounds for the scup fishery–nearly double the 2011 limit of 4.40 million pounds. The Council recommended a 10.5 inch minimum size, 20 fish possession limit, and an open season all year for federal waters. The Board approved conservation equivalency for state waters enabling the use of state specific measures. The Council and Board recommended management measures to achieve the 1.32 million pound recreational harvest limit they had adopted in August for the 2012 black sea bass fishery. For federal waters, the Council recommended an open season of January 1 through February 29 with a 12.5 inch minimum fish size and a 15 fish possession limit; and an open season of May 19 through October 14 and November 1 through December 31 with a 12.5 inch minimum fish size and a 25 fish possession limit. "The Council's 2012 recommendations are expected to in result in improved recreational landings and access in the scup fishery, and also clear the way for more liberal recreational management measures for summer flounder" stated Rick Robins. "The Council and Commission worked to create an option for an opening of the recreational black sea bass fishery during January and February, 2013. 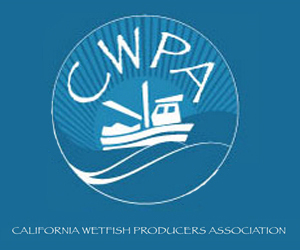 This could provide important opportunities for this fishery during those winter months as well." A more detailed summary of the Council meeting can be found by visiting the Council website . Amendment 17 to the Northeast Multispecies Fishery Management Plan (FMP) is intended to facilitate more effective operations of state-operated groundfish fishing permit banks in New England. State-controlled permit banks, at least for now, have been established in ME, NH, MA and RI and are funded by the National Oceanic and Atmospheric Administration(NOAA). 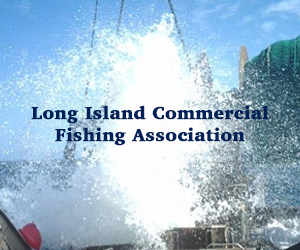 They will be used by the states to preserve fishing opportunities for small, owner-operated fishing vessels in New England, particularly those located in fishing communities that might otherwise struggle with the transition to the groundfish sector catch-share program. If approved by NOAA Fisheries, acting on behalf of the Secretary of Commerce, the action will enhance the Council’s partnership with the states by exempting their permit banks from many of the rules that “sector-operated” or privately held permit banks must comply with, while still requiring some level of oversight and coordination with federal fisheries policymakers. 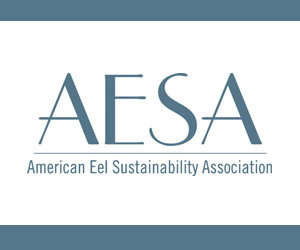 Electronic Submission: Submit all electronic public comments via the Federal e-Rulemaking Portal www.regulations.gov. To submit comments via the e-Rulemaking Portal, first click the ‘‘submit a comment’’ icon, then enter 0648–BB34 in the keyword search. Locate the document you wish to comment on from the resulting list and click on the ‘‘Submit a Comment’’ icon on the right of that line. Fax: (978) 281–9135, Attn: William Whitmore. The public is invited to attend the Mid-Atlantic Fishery Management Council's December 2011 meeting to be held at the Kingsmill Conference Center, 1010 Kingsmill Road, Williamsburg, VA 23185, phone 757-253-1703. Below is the meeting agenda. NOTE: For online access to the meeting, register at: https://www1.gotomeeting.com/register/840797481. Once registered you will receive an email confirming your registration with the information you need to join the Webinar. These documents have been made public by NEFMC staff. Working papers for this week’s GOM cod assessment are available at the address shown below. Please note these documents have no official status. The agenda is at this link.